Thank you all for participating in round two of Epiphyte Club! For the uninitiated, here are the rules. Rule #1. 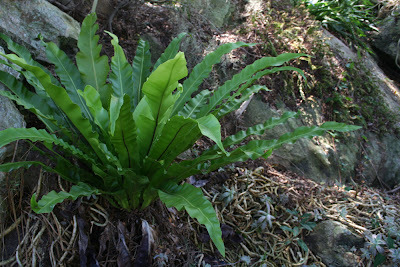 Epiphytes are plants that grow on trees, such as orchids, bromeliads and many ferns. Rule #2. There is no epiphyte club. Okay, so I made that up. See this post for the contest and blog carnival rules. Rule #3. If you're sharing an older post, please include a link to this site. Here are the entries in the meme for this month. 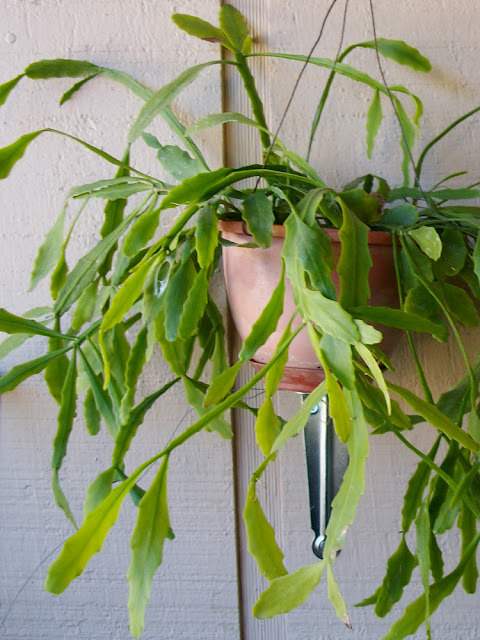 Ric Rac Cactus by Kylee of Our Little Acre - Kylee posted about her new houseplant, Epiphyllum anguliger. I have to admit that I'm a little jealous of her purchase! 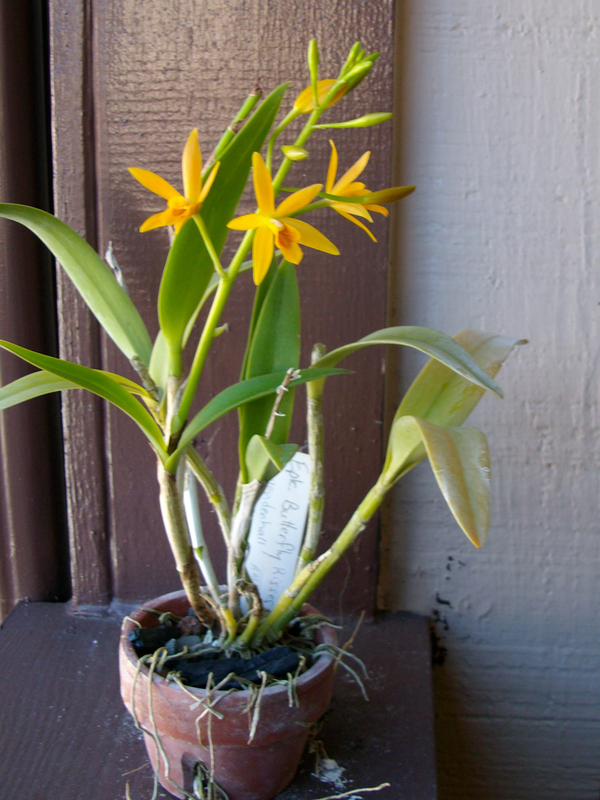 Cattleya Transplant by Aaerelon of Plant Zone - I have some cattleyas myself that are in desperate need of attention, so hopefully I'll have the same luck as Aaerelon! 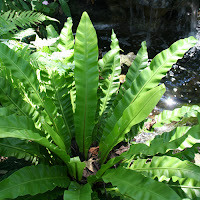 Native Florida Epiphytes by Florida Nature Adventures -This was an older post, but it's a goodie. This is a good overview of some of Florida's great epiphytes that can be found on tree trunks in the swamp. LA Arboretum Orchid House by Kat White of The Kat's Garden -Orchids everywhere! I really loved all of the lush foliage... even more than the orchids! Tillandsia Paradise by Far Out Flora - I really wish there was a cool place like this here in Florida. You have to see it to believe it. Resurrection Plant by Danger Garden - This selaginella lepidophylla is technically more of a lithophyte, but I'm sure it would can be grown in trees too! Anyone wanna give this a try? Endangered Florida Tillandsia by South Florida Challenges - Tillandsia Fasciculata is one of the most gorgeous native bromeliads Florida has to offer, though it is widespread in the neotropics. Tough Neoregelia Hybrid by Tropical Texana - I... want... this bromeliad! Its actually a locally bred Neoregelia Olens Vulcan x 696 x Concentrica. Oh, and it's apparantly one of the cold hardy varieties too! Drunkard's Dream by Sweetstuff's Sassy Succulents - Rhipsalis (or Hatiora) Salicornioides has little bottle shaped segments that look like liquor bottles, and if that wasn't cool enough, Candy's is in full bloom! Epiphyte Epidemic! by Kimberly of Garden in Paradise - I'm so glad that Kimberly shared her post on the meme! I've been reading Kimberly's blog since I started blogging myself and she never fails to make me laugh. "You Know, Like an Air Plant!" Yesterday at Washington Oaks Gardens my fiance and I overheard an older couple as they felt the rubbery leaves of a resurrection fern on an oak tree's low growing branch. "Ooh, look at this fern! I bet it's one of those... what are they called?" pondered the wife. "Epi? Epiphytes? 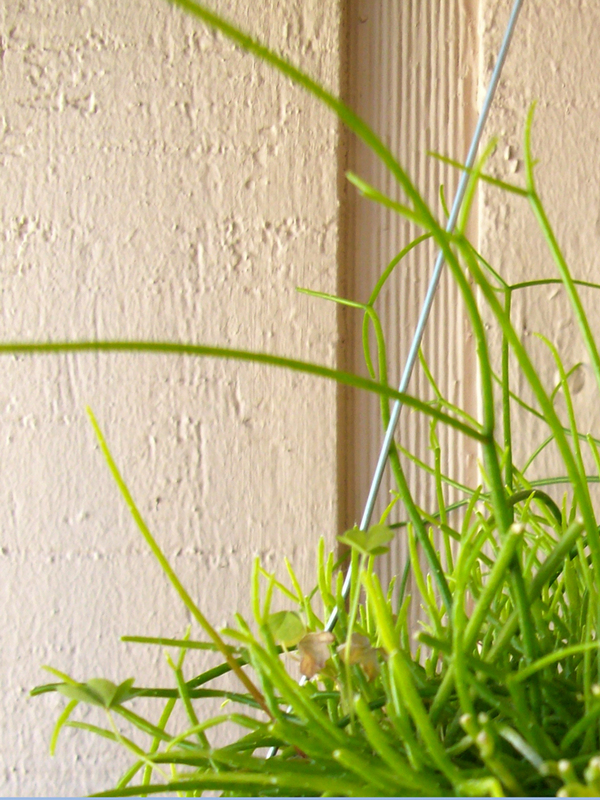 You know, like an air plant! Is that what this is?" I made a whimpering sound and offered my fiance the best puppy dog face I could muster. She glared at me and grinned, and then she caved. "Go ahead... you can tell them it's an epiphyte..."
Obviously I love epiphytes enough to dedicate a whole day to those oddly beautiful plants, but here is why I love them so immensely. They are tough as toenails. In fact, one of the more common bromeliads in my area is called painted fingernail plant, so its not much of a stretch to compare them to toenails. If the toenails are painted, that is. Since epiphytes are accustomed to living life in the treetops, they're often completely happy with little or no soil and irregular watering... that sounds like a living arrangement I can provide! Since they need no soil, this also means that I have no need for huge and heavy soil filled pots on my itty bitty balcony. I water them maybe once a week in winter, and maybe twice a week in summer. 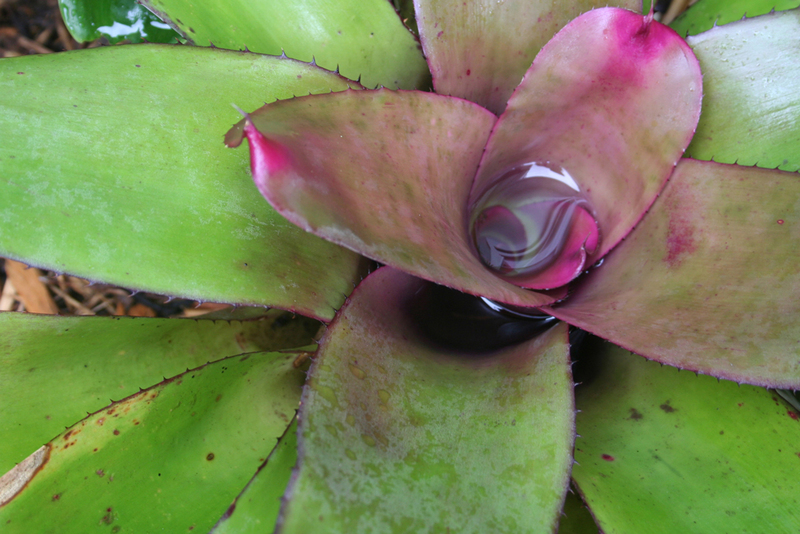 I love bromeliads for their tight symmetry, and their myriad forms and colors. Because they harbor life in their vases, tree frogs snuggled up in their pools, hummingbirds sipping nectar from the flowers and drinking water from the rosette. They are highly collectible, and many are actually quite hardy here even when the mercury drops to twenty degrees. 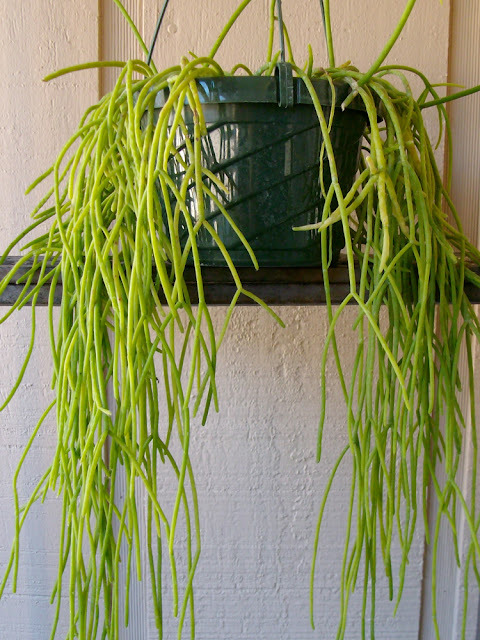 If the lush look of a rainforest drapery dripping with mist sounds more appealing, epiphytic cacti such as rhipsalis would be your type. 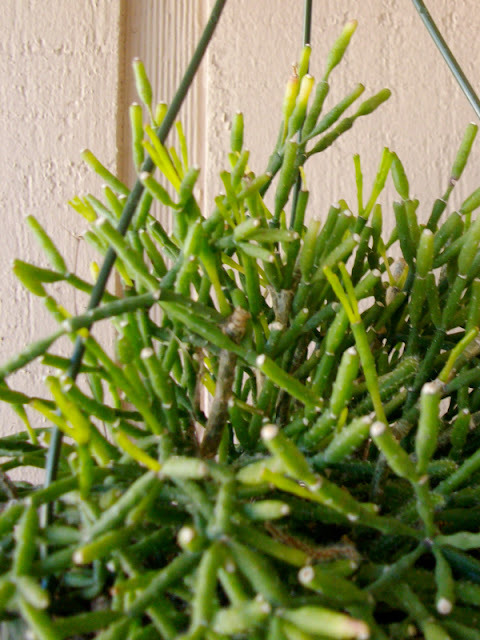 They are cacti, but instead of adapting to the drought conditions of the desert, they've become accustomed to the extremes of dry and wet, or sun and shade, that can be life as usual in the treetops. Oh, and of course there are the orchids. Everyone loves orchids, even if they don't understand their natural histories. 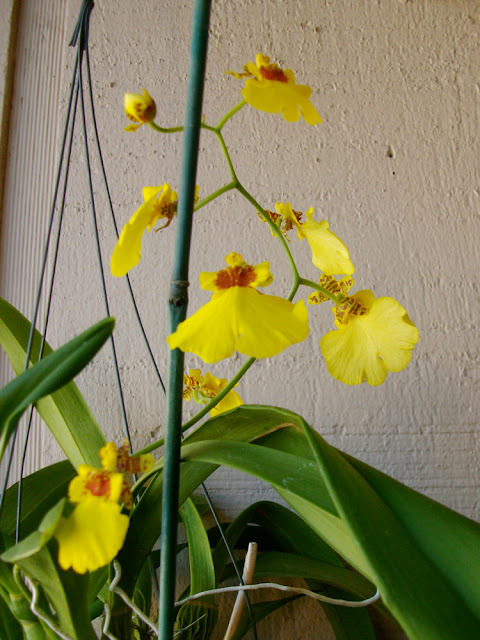 Maybe that's why so many people kill their moth orchids by overwatering! On the same trip to Washington Oaks I spoke to a man whose neighbor has phalaenopsis (moth orchids) thriving on neglect, with roots wrapped tightly around the trunk of a live oak. In North Florida. The famed plantsman Henry Nehrling would grow orchids north of Orlando at the turn of the century, protecting them from as much as twenty degrees of frost by covering them with leaves in winter. 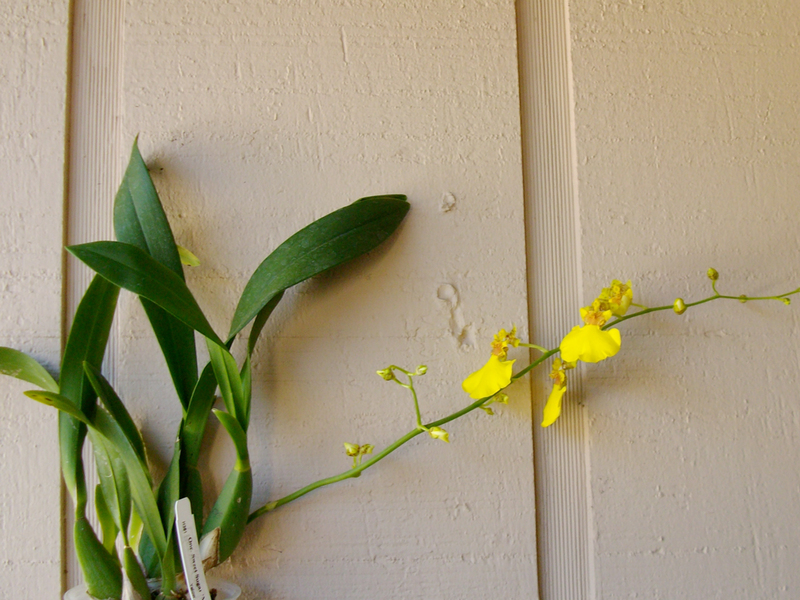 Clearly orchids are a bit tougher than we give them credit for. 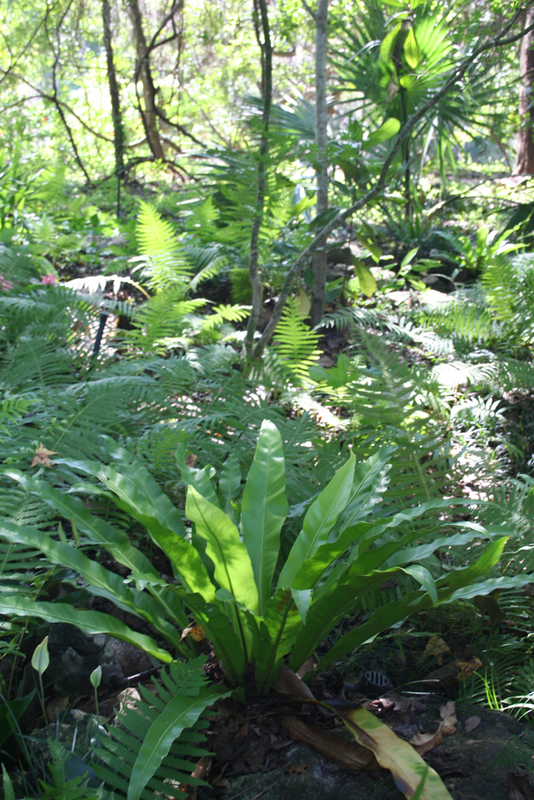 Here are some of my favorite epiphytes, birds nest ferns! These are Japanese birds nests, perched in Kanapaha botanical garden in Gainesville Florida. For those of you who didn't know, Gainesville is in zone 8. 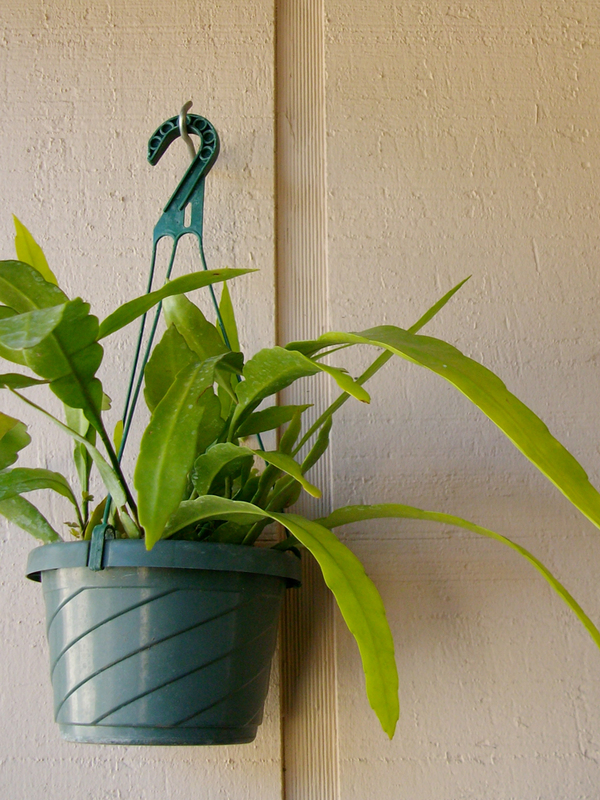 These ferns look so tropical, you would expect them to melt in winter! By the way, I have one of these too and they are... simply delightful. I haven't forgotten about the resurrection fern that captured the hearts of those two lovebirds/snowbirds. This fern in the polypodium genus has the most unusual habit of drying up and playing dead, only to return to its splendidly lush green glory in the event of a rain. Here's a before and after post from Grower Jim. So maybe you're wondering if I told all of this wonderful information to the couple enjoying a stroll, the ones who wondered if that fern was an epiphyte. "It is! It is an epiphyte!" was what I wanted to say, but I was too embarrassed by my childlike enthusiasm. Feeling like a raving loony, I decided to keep it to myself and let that couple live out the rest of their lives, wondering. I could imagine the wife on her deathbed. "Honey, I have but one thing to ask of you before we part... was that an epiphyte?" In case you missed it, here are the entries in the meme for this month. Here are last month's entries. I did not know that birds nest ferns were epiphytes. Learned something new here today. Those Japanese ones are pretty. I like the wavy leaves. 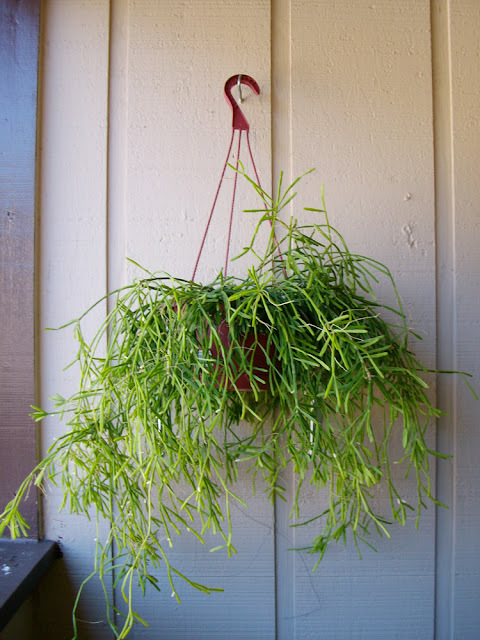 I like Epiphytes also and the chance for free plants who can resist. Here's my entry kind of old but so am I. Very cool, Steve! I'm learning so much from this. Thanks for doing it! I used to have a beautiful bird's nest fern, but I killed it a couple of years ago. I might think about buying another one though. I loved it. BTW, I'm in Vancouver so probably not eligible for the prize. :( Felt like doing a post anyway! Great collection of posts, I'll be sure to browse. OK Steve! I did it! 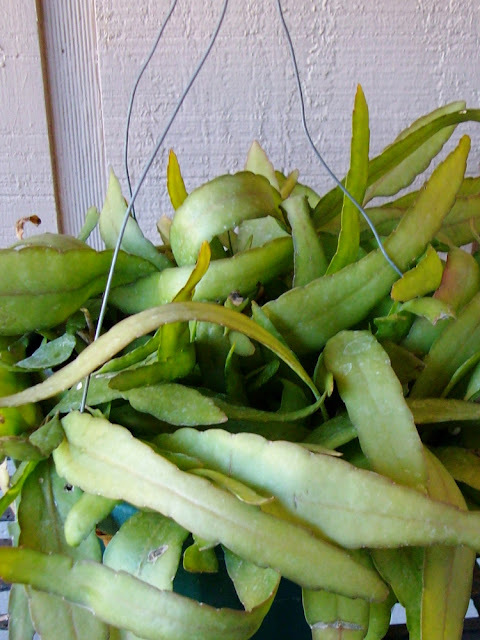 I posted about epiphytes and included an old post called "tree dwellers". Love your meme!!! Loved your post, Kim! It was so fun to see what epiphytes are growing where you live. Glad you're back from your hiatus! Wow thanks for putting my blog on yours Steve! Quite a compliment. I can't wait to visit everyone's entry and check them out! Thanks again!